This is our commitment to you If you*re not satisfied with your stay let us know and we*ll make it right. Experience the sophistication and luxury of our 17 million renovation. All of our guest rooms and meeting rooms have been completely transformed. The Hilton Westchester - Rye Brook hotel located in the New York City suburb of Rye NY is ten minutes east of White Plains NY in Westchester County and 8 miles from White Plains Airport /HPN/. Situated on 45 beautifully landscaped acres of lush woodlands the Hilton Westchester - Rye Brook NY hotel is Westchester County New York*s premier hotel combining the relaxed setting of a resort with the flexibility of a full-service business hotel. 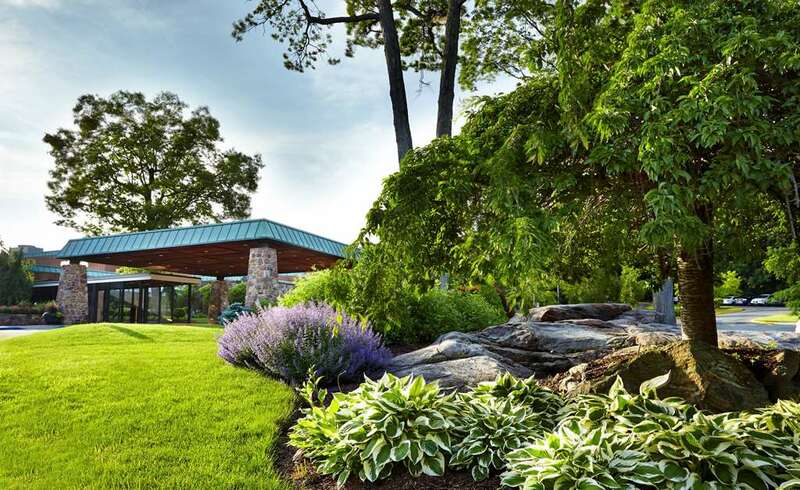 Just two miles from the Connecticut border our Rye Brook New York hotel is ten minutes from Greenwich CT and only 35 minutes away from Manhattan NY by train or by car. Our Rye Brook New York hotel*s location is also convenient to many Westchester County attractions New York City and Fortune 500 companies such as PepsiCo IBM Morgan Stanley Pfizer and Citigroup. It will be easy to unwind after a busy day as we offer numerous recreational facilities. * Indoor and Outdoor Swimming Pools * Whirlpool * Year-Round Tennis Facilities * State-of-the-art Hilton Fitness by Precor Fitness Center Enjoy a drink in The Den Lounge or a fine meal in the Tulip Tree restaurant during your stay at our Hilton hotel in Rye Brook New York. If you wish for privacy and relaxation treat yourself to in-room dining followed by a peaceful night*s rest on *The Hilton Serenity Bed*. The Hilton Westchester - Rye Brook hotel is easily accessible from John F. Kennedy /JFK/ or LaGuardia /LGA/ airports and just minutes away from White Plains /Westchester County Airport /HPN/. If you are looking for convenience to New York City but want to get away from the hustle and bustle of the *big city* come to our Hilton hotel in Rye Brook NY.